A study from Nielsen in conjunction with Google discovered that a large majority of mobile users begin researching products on their mobile device. This makes sense, because the average consumer already spends over 15 hours per week using smartphones and tablets. Of those smartphone users who initially research on their mobile device, more than 70% go on to visit a store the same day and make a purchase. 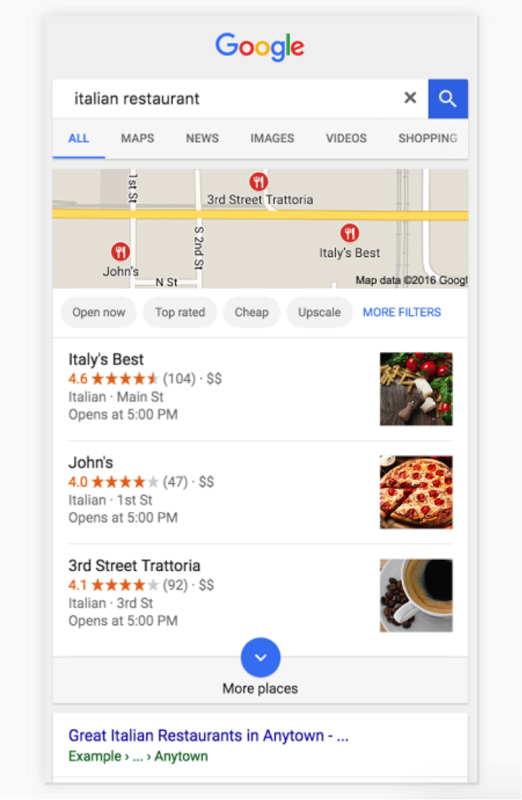 If your business isn’t optimized for local search and visibility with the mobile crowd, then you’re missing out on a lot of potential revenue and traffic into your store. Here are 10 things you should do today to prepare your local business for mobile and get seen in local searches. If your site features a fair amount of rich content, you need to consider how that content is displayed on mobile devices. Depending on the operating system of the device and the network, the visitor might experience long load times. Mobile pages that fail to load quickly result in higher bounce rates, and this could directly impact your search rank if it happens frequently. To prevent this from happening, you should reduce the amount of rich content displayed on your site or reduce file sizes so that content renders quickly without slowing down the load time. I find it incredibly frustrating when I visit a website with the intent of making a single purchase and the site tells me to download the mobile app before I can proceed any further. Applications are a great feature for customers who are expected to return frequently or perform multiple actions on a site. It makes complete sense to prompt me to get an app for something like Domino’s Pizza or my bank. It makes less sense to force me to download an app for a random factoid search or if I just want to check out a local restaurant. You have to consider the intent of your customers. If an app doesn’t make sense then put resources into developing a better mobile website instead of an application. Mobile users tend to use shorter search queries. 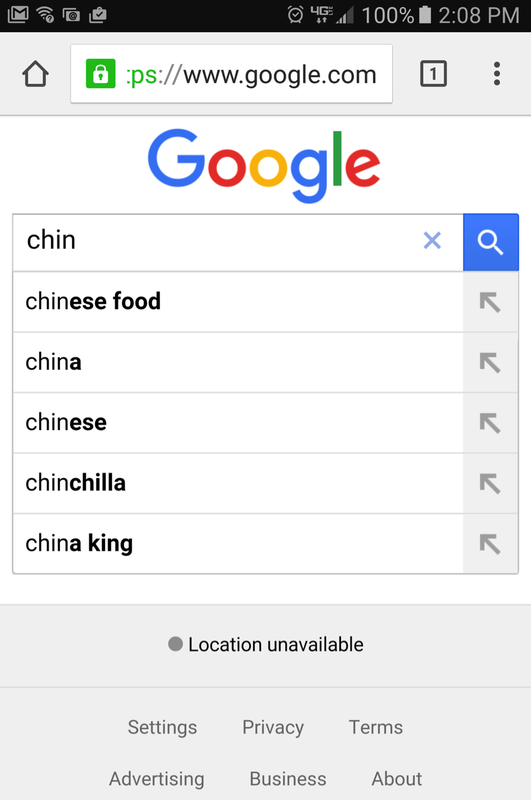 Rather than searching for something like “where to buy Chinese food,” they’re more likely to just type “Chinese.” This is because many users know the search engines will begin filling in the rest with autocomplete. Autocomplete suggestions are often peppered with relevant local recommendations. Try it yourself and use the phrases you uncover to optimize your local listings, content, and metadata with the most relevant search queries for your business. A mobile site is a must-have since “mobile friendliness” was deemed to be a ranking factor by Google. You have a couple options in how to deploy this. With a responsive site design, you have one website to maintain. The assets will remain the same and provide a consistent user experience no matter what device your audience is using. You only need to make updates to a single site so it’s easier to maintain. However, mobile devices have limited bandwidth depending on coverage. 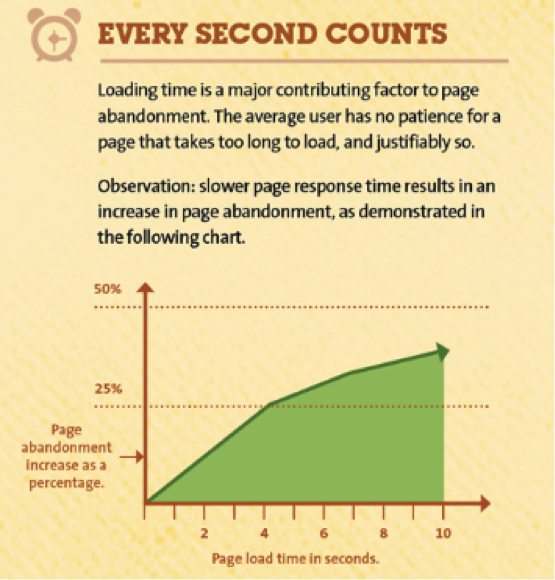 Data heavy sites, even with responsive designs, can be slow to load. This can impact the user experience as well as your search rank. A standalone mobile site might cost a bit more to deploy, and requires a little extra time to maintain, since you’re now keeping up with content in two places. With that said, a standalone mobile site can provide the most optimized experience. Reduced elements and focused content means pages can load faster (so there’s an SEO benefit) and it can be easier for your audience to find the information they need. You’ll have to choose the option that best suits your content, audience, business and budget. I regularly use voice search on my smartphone and I know many colleagues who use the function as well. If you pay attention to how others use voice search, you’ll notice something interesting. They don’t use voice search in the same way they use text search. It is definitely the case that, if you have something coming in via voice, people are more likely to use natural language. They are less likely to use search operators and keywords and that sort of thing and that is a general trend that we see. Not only does this change the way search engines have to interpret a user’s search queries, especially for local intent, but it also changes how you should think about optimizing your content and landing pages to make it easier for people to find you. Direct data are the extra little details about your business that your customers are most likely to be searching for. Have you ever done a local business search and found the hours of operation, pricing, phone number, location info, and even menu items or products listed in the results? That’s direct data. This data is important because, when structured properly, it gives your customers everything they need to know without having to dig through search results or pages. By minimizing browsing and providing quick answers, you will avoid losing those users to your local competitors. When they can get an answer directly within the SERPs, prospective customers will be more likely to tap your phone number right from the results or visit your store immediately. But don’t just optimize your local listing with a ton of information. Make sure that data is listed clearly – in text format (not within images) – on your website. Every interpersonal interaction with a customer is an opportunity to score a positive review online. Ask your customers to review your business on Google, Yelp, and other social media outlets. Use attachments, cards, and stickers in conjunction with loyalty programs to encourage reviews. When the search algorithm is ranking local listings, you’re more likely to find yourself at the head of the pack if you’ve got a large volume of positive reviews. Local SEO aside, positive reviews influence customer buying decisions. Roughly 85% of consumers report that they read online reviews, and as many as 90% of customers base their purchase decision on reviews they read. I’ve personally chosen new restaurants based solely off the volume and quality of positive reviews for these businesses. If you want to appear in local search, be it desktop or mobile, Google needs to know you’re relevant for a specific area. That means putting your complete address on your website (not just on the contact page), as well as in multiple business directory listings for authoritative citations. Having multiple business citations helps Google and other search engines verify the location of your business and your phone number. That confirmation allows the algorithm to confidently display your businesses location in desktop and mobile search results. If an address can’t be confirmed or it doesn’t match across multiple citations, then it may not be shown at all because Google doesn’t want to provide incorrect or false information to their customers (the search user). I highly recommend populating your local business listing in Google with as much information as possible after you’ve claimed it. This includes optimization for local search intent and targeted key phrases, appropriate categories, location and contact information, pricing, parking, images, videos, etc. 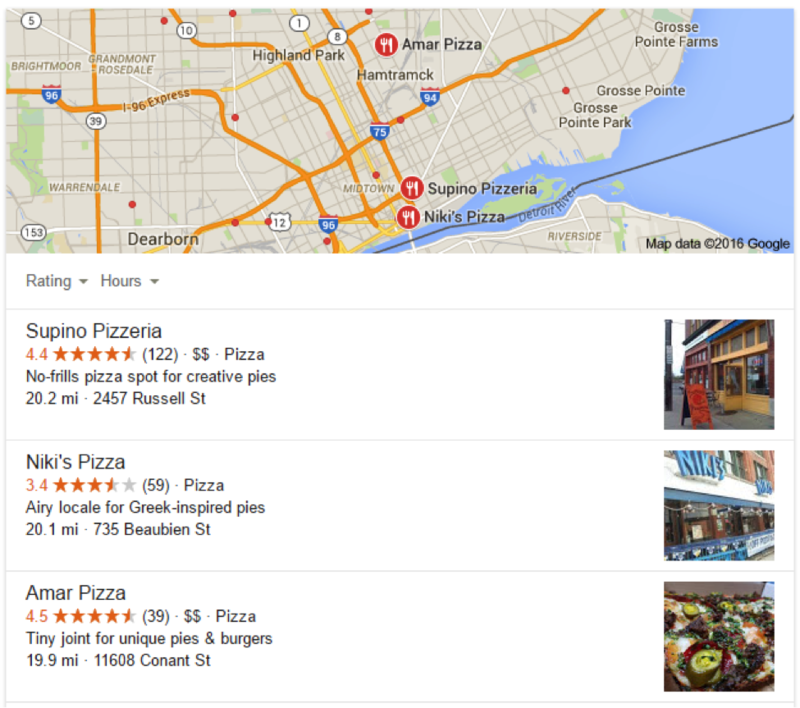 You’re not just optimizing for local search; you’re also optimizing for the customer. Providing as much information as possible will help you capture their attention and drive them into your business. Whether you’re a single operation, franchise or multi-site business, you can optimize your social accounts like Facebook and Twitter to heighten local visibility. While they won’t necessarily help with the visibility of your website, a well-optimized social media page has the potential to show up in local searches. This provides you with one more slice of that local real estate in the search results.